One of my favorite mangaka’s works are becoming more popular in the West and I spotted one of his serializations at a booth. I wanted to ask questions, but it was pretty crowded. It seemed like if you didn’t have a credit card out or look like a devoted sycophant — you were pretty much ignored. Which is fine I guess, people came to make money. Nothing wrong with that. Moving on, I decided it was time to rest so I caught a few panels. The first one was a bit dry and they had slight technical difficulties which was fine — as it is a new con. The dull tone was made up for however by the great information being delivered. I brought a mask to wear at the convention due to the germs. Being flu season, I didn’t want to catch anything — least of all a con cold. It made my voice a bit muffled and you couldn’t tell my facial expression. I am wondering if this factored into the way he responded. Or maybe he was just stressed and I shouldn’t have even bothered. Following that incident, I said screw the panel and the bathroom and the cosplay meetups — deciding to take one last loop around the convention floor. I went up two escalators to find Artist Alley and stood on the huge line for a security check before getting annoyed, walking up to the table barrier, snapping a quick picture and going back downstairs. I had to go through the main security checkpoint again to get back to the hall and almost just walked out and left. I forced myself to stand in line and thankfully it went quick enough. 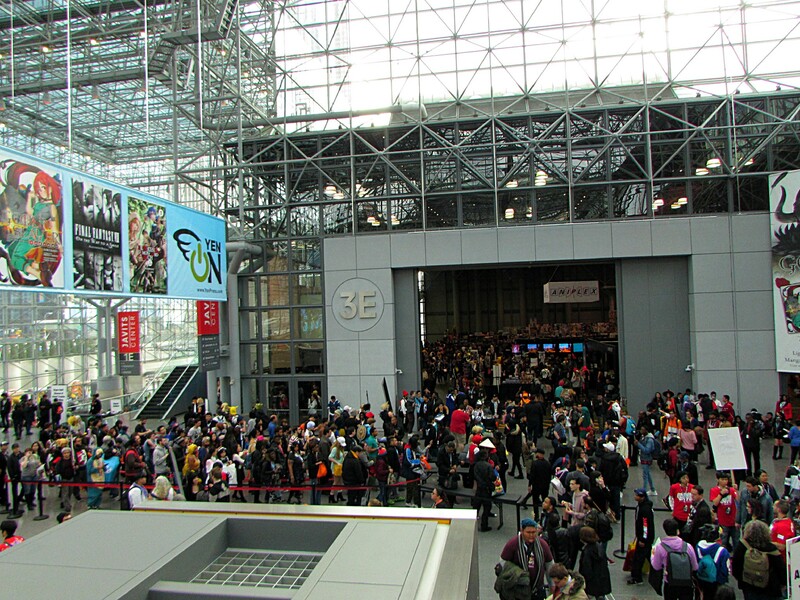 Also I hate to beat a dead horse or make this comparison, but between Anime NYC vs New York Comic Con, come to this convention for all of your otaku needs. It is for the fans and they truly do care. You’ll have a lot of fun and hopefully, make a ton of new friends.